We can only imagine what the conversations on the course must have been like. Barack Obama is well into his retirement now which means he gets to kick back and do pretty well whatever he wants to do now. 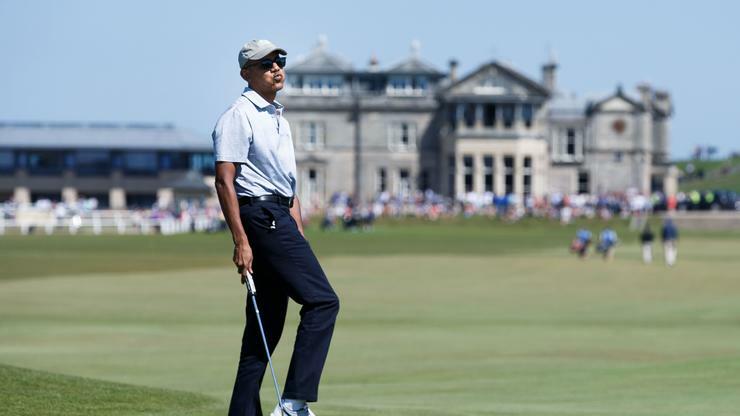 Obama is known to engage in sports such as basketball but this weekend, it appears as though the 44th President of the United States was in the spirit of the Masters as he hit up the golf course with some prominent people out of Dallas. Of course, two of those people were Tony Romo and Emmitt Smith who made a name for themselves while playing for the Dallas Cowboys. The three were joined by Dallas Mayor Ron Kirk as well. Smith posted some pictures of the four on his Instagram account and it looks as though they all had a pretty great time. Romo is an avid golfer who has even played in professional tournaments before so we wouldn’t be surprised if he ended up having the best round out of all of them. Hopefully, he took it easy on the former president. That same weekend, Tiger Woods made history as he won his fifth Masters and his 15th Major tournament. It was the first time since 2008 that he had won a major and it was his first Masters since 2005. RZA Wants To Play A Vampire With "Gold Fangs" On FX’s "What We Do In The Shadows"